How can e-supervision be implemented on a large scale? What resources would be needed? What incentives should be offered (if any) to the supervisors? Are supervisors able – in terms of skills and competences – to go on with e-supervision? What skills/training should they have? What different roles can be identified campus-wide when putting up an e-supervision programme? What actors? How do we assess e-supervision itself? How do we assess the outcomes of e-supervision (i.e. research)? How do we make sure quality of research stays at its highest level? Can e-supervision “distract” researchers from their original work (i.e. focus in the forms and not the ends)? Do you think that e-supervision could be obstructed by higher risk of plagiarism? Do you think that e-supervision could be obstructed by requirements of original/unpublished work now undisclosed by e-supervision itself? Do you think that e-supervision can put any especial concern on intellectual property rights, privacy, or other rights related to authors or works in general? How can e-supervision be implemented? Let’s start with the basics and see how we can move on. Let’s think about how to do the research, how to change the mindset of doing research, about networking, about the internationalization of the process. Leadership truly is key to the whole process of implementing e-supervision. Is money the right incentive? does it scale? is it sustainable? A very important issue is to create a community. A community within the team, the department, the university, across universities… a sense of community of e-supervisors and people interested or working on e-supervision. We need a framework to guide universities through e-supervision. One of the major concerns is quality. Maintaining a standard of quality. Related to quality, there’s monitoring, to guarantee that the whole process is working smoothly. What modalities are there? What methodologies? How frequently people should communicate, when, how… some guidelines that are just illustrative, but that can provide a framework that everybody understands and agrees upon. What is the balance between traditional supervision and e-supervision? A need indeed for a framework and guidelines to effectively implement e-supervision. e-Supervision does not necessarily have to be 100% online, but can also explore a blended or hybrid approach, where traditional and e-supervision models can complement each other, as it is already happening at the undergraduate and master levels. e-Supervision can also be very interesting in “industrial doctorates”, which consist in enterprise-university agreements to develop research that can lead towards the completion of a PhD. What are the main challenges for quality MSc/PhD supervision in Africa? Are they more of a technological, financial or cultural nature? How is Africa different from e.g. Europe in this sense? Do you foresee any convergence of methodologies and culture in doing research in general and supervision in particular in the world? How can ICTs in general contribute to addressing these challenges? How can e-learning in general contribute to addressing these challenges? How can ICTs and e-learning be translated into e-supervision? …in Africa? What is the hottest topic/challenge in supervision in Africa? How could e-supervision address it? What is the most emerging topic/challenge of e-supervision in Africa? How should it be addressed it? Access to technology, not only infrastructures but cultural: lack of habit to use ICT for academic research, preference for face-to-face. Lack of access to information. Lack of research culture, of pressure to publish. Improve interaction, not only one-to-one, but collective. Modest is good, simple but effective solutions. Beware of exclusion because of e-euphoria: need to keep on with face-to-face event important for networking. Importance of development of human resources and knowledge generation. There is a national commitment to improve the amount of people educated, which has been successful. But now the massive intake of new students, especially at the PhD level, is seriously challenging the system. e-supervision can help in providing a solution to this challenge. We try no to go online on expense of quality. One of the major challenges of e-supervision is monitoring to ensure quality. Another issue is how to assess all the work that the students are doing. About the costs, it is likely that connection costs are lower than travel costs to attend face-to-face meetings. An important challenge is the change of mindset, both for students and supervisors. Try and benchmark what everyone else is doing and share milestones. In order to gain a doctorate you have to demonstrate that you are like other doctors. And in order to do that you have to use language in a specific way. PhD training is about teaching someone to be particular type of knower, in oder to speak, write and act in particular way. Supervision is about bringing the student in the particular world of the text, the written text. The danger of e-supervision is what happens that is not tracked, that is not formalized by technology, the lack context, the lack of physical contact. And the formal places where academic stuff happens cannot be substituted by other practices: so we have to learn how to make both worlds be compatible, how to go from e-supervision onto the formality of the academic world. It’s important to translate what has been “e-discussed” into the paper, the communication, the journal, which is the language that the academic world speaks. In Senegal as in other places of Western Africa infrastructure still is an issue. And, again, not only infrastructures, but culture. Besides, there is also is the fear that technology will replace human beings (i.e. professors) and make them irrelevant. Necessary to have a work plan, a commitment, a kind of “contract” where roles and procedures are defined in detail. Ismael Peña-López: Do you foresee any convergence of methodologies and culture in doing research in general and supervision in particular in the world? Can e-supervision work towards a standard in supervision? Okemo: e-supervision is going to internationalize supervision and research in general. Whether this is going to end up in standardization, that is not sure that is going to happen. It will sure bring closer different approaches, but merging them or making them converge, that is another thing that does not necessarily will happen. Boughey: this is unlikely to happen among disciplines, especially between sciences and humanities. The gap sure can be bridged, but not closed at all: the objects of research are too different. Akdogan: when talking about e-supervision, the effort to bridge the traditional and e-research worlds should be shared. On the other hand, it may well be that e-research is more demanding than traditional research, and thus the translation would be much easier and even better than 100% offline students, which are usually less engaged. So, e-research requires more engagement, which is good, and more effort as exposure pushes towards it. Stephen Nyaga: what would be the most effective way of monitoring e-supervisors and the whole process? Akdogan: don’t think there should be a standard and each university should have their own way. In any case, it should be simple, easy tools, with a clear schedule. Okemo: the same way that traditional supervision is structured, also e-supervision could be structured in its own way. Akdogan: but, of course, adapted to the online world and flexibility. Ismael Peña-López: about monitoring the e-supervisor, there are two more ways. First, if we believe in a transformative approach to e-supervision, then the whole process of research and of making of the thesis will be open and we can monitor not the e-supervisor, but the outcomes of their supervision in the successes and procedures of their students. 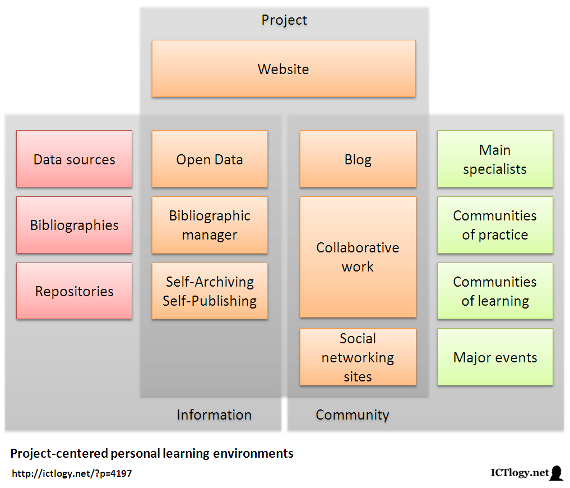 Second, if we understand the supervisors as researchers themselves and, thus, as learners, then they will have too open personal learning environments which we will be able to monitor, to follow, to interact with. How did e-supervision tools/methodologies help in carrying out/supervising quality research? Was this an exposed way of carrying out research? What was the experience like? Does exposition increase the risks of plagiarism? Can it jeopardize the originality of the research required for a thesis? drafting better research questions and hypotheses? Why? Can e-supervision be seen as an added burden – in terms of workload – to the process of doing/supervising a thesis? Can e-supervision be seen as an added burden – in matters of new skills – to the process of doing/supervising a thesis? What strategies could be put in place to avoid this extra burden and, instead, leverage the (supposed) potential of e-supervision? Can e-supervision become collective supervision? Can e-supervision become P2P supervision? Open knowledge as a must for e-supervision. Future is mobile, future is video. Virtualization of supervision is real supervision. PhD students has to understand their new role as researchers in formation. PhD students must contribute to local environment: dissemination, public engagement in science, etc. There should be a contract/commitment between both parties. Likely a reward system. e-Supervision, research 2.0, etc. is about attitudes. And attitude is a choice. And supervision is about EMPATHY (e-supervision: empathy-supervision). Today’s students are no longer the people our educational system was designed to teach , Mark Prensky. A triple interaction approach: supervisor – student – technology. It is not about 1-to-1 relationships (student-to-supervisor) but about many-to-many, about collaboration, regardless of time and space. In this change of paradigm, technology is not a tool, but an enabler. The emergence of web sciences: technology has become a must to understand certain aspects of the world and, more important, to be able to do research about them. But the change of paradigm may have a trade-off between quality and burden. We have to ensure that this is not an actual trade-off, and that we can go for quality without increasing the burden. One-way assessment vs. P2P assessment. Should we have only one or two tutors as usual? Are supervisors ready to work as a network? How can we collaborate with other students/supervisors. We need new models and strategies to go for this new paradigm. 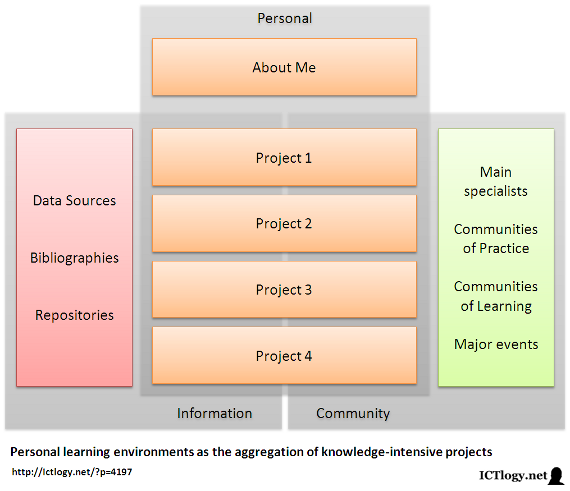 PELICANS project: Personal and e-Learning in Communities and Networking Spaces. It is more important the process than the tool. e-Supervision and PLE are very related. Explore: what tools, what sources/resources, how you discover new sources. Strategies for finding information, applications, etc. It’s about the PERSONAL in PLEs. Ccommunity: PLEs do not stand alone. It is about the PLN: personal learning network. Share: once networks are established, encourage to share, as it creates new channels of communication. Create: fix what is being learned. Flexibility: let the students have their own tools. What is important is not the tool, but the usage. Training is crucial, but also circumstances and constrains: innovation is born from constrains. What is important is the process: technology should not interfere in the process, technology should facilitate the process. There are benefits of publishing the research process, and not the only goal being publishing in journals. The importance to share your discoveries while they happen, and not only at the end. Accountability, especially before the taxpayer. The importance to keep track of one’s own research. Technology enables browsing one’s own production in many ways, with different approaches. Research has to be a forest, not a farm. Oskar Caquero: will the academia ever acknowledge or provide credit for the work done in blogs, wikis, etc. and not only journals? Ricard Espelt: it may be that the focus of this kind of tools is not to address the academia, but to address another community. Miquel Duran: it is very important to impact. And impacting can happen through journals, but also outside of them. On the other hand, it is likely that in a near future we will be able to set up new ways to assess impact, to assess how value is created for society, etc. Francesc Balagué: new ways of scientific production should definitely be recognized. Xavier Gabarell: how do one manages so much time in doing “traditional” research and blogging and all other stuff? Miquel Duran: one needs a time management time. But it is not easy. Working as a team, though, helps a lot: thus, there is a distribution of tasks and while some do quantitative analysis others blog it. Stephen Nyaga: maybe there should be a formal training on e-supervision, with both the student and the supervisor at the same time and sharing the tools and thr strategies. And to have a good strategy to set up new policies that deal with these issues, to convince people to share good practices. Miquel Duran: surely the rewards are not (only) on money, but in many other forms. But some rewards should be put in practice, whatever their kind, and definitely recognized. Ricardo Torres: this is going to take time, but it will pay back in the future… but maybe not in the near future… like learning itself. Miquel Duran: what about flipped supervision? Ismael Peña-López: Devil’s advocate: can a non-scholar, a non-supervisor, a non-doctor supervise, help, assess a PhD supervision? Is that “qualitatively” possible? Ismael Peña-López: How distracting can be “fancy” technology? Is that part of the process? Sioux McKenna: e-supervision cannot be made compulsory. It is about showing the academic benefits of doing e-supervision. Olive Mugenda: is everything shareable? can everything be open? Ricardo Torres: the problem with some research is that it is too recent or new that there is nothing published… but there actually is lots of stuff in other platforms. This is definitely a reason for opening up not final research but the whole process. How is e-supervision organized administratively and academically at your institution? What kind of administrative frameworks are used to manage e-supervision? University bilateral cooperation agreements/co-tutelle/other formal links to embed e-supervision formally in the doctoral work? How is the time a supervisor spends on e-supervision recognized? What tools have you been using for e-supervision? What was the main area of supervision affected by these tools (e.g. revision of originals, drafting the methodology, fieldworks, theoretical framework and/or bibliography, etc.)? Were they difficult to master? Were they technically difficult to implement? To what extent did they substitute other traditional supervision tasks/procedures? To what extent did they enhance other traditional supervision tasks/procedures? Did these tools “scale” (i.e. could they be reused or used simultaneously by many other student/supervisor pairs)? To what extent do these tools reshape the contexts in which doctoral education is done? Strengthening Doctoral Supervision (http://doctoralsupervision.net/) a course in blended mode to develop supervision capacity. Programme based communication, programme based use of technology is for two reasons: community of practice, PhD beyond the topic. Technology: RUConnected – Moodle based program, elluminate, Skype, Youtube, Turnitin, etc. Do not bring too much technology at the beginning, but little by little. Need to be structured, not “if you build it they will come”. eTechnology needs occasional “in person” contact. Good supervision requires time, there are not technological shortcuts. eTechnology can enable a rich experience. Mendeley, for reference management, including the Mendeley plugin to embed references into Word documents. Wiki, for structured information. It came after the unstructured information of Tumblr became more structured. The wiki also fed original content into the final document of the thesis. Dropbox, a word document for each chapter. Gdocs, to write the skeleton of a paper or specific document. Then copy it to a shared Word document in Dropbox. Selecting the appropriate tools that help. That help in supporting small ideas to the elaboration of complex documents. It has to support both the writing and the revision. If tools help, then they become an indispensable element in the user’s daily activity. Face to face in a traditional university is the base of its work. Everything is based upon presence, and presence is a value. Students are required to present once a year, so they have to be at the university at least once a year too — plus the thesis defence, though sometimes they are done by videoconference upon very restricted conditions. There is several people (student, supervisor, co-supervisors, etc.) involved in the whole process, and here there is plenty of room for innovation. Indeed, co-supervision is fostered by the university, including co-supervision during field work. Increasingly, a PhD thesis includes writing papers, which requires to increase efficiency. Who owns or who can access my data? There is not enough regulation for e-supervision, but the current one sure allows for e-supervision. The student has to, at a given time, prove his identity. There are some procedures that are now compulsorily offline, and some others that could be done online. Actually, most parts of the steps of the PhD thesis could be done online and just a few would require physical presence. e-Supervision could be included in the already existing many courses addressed to PhD students. Universities should equally recognize traditional supervision and e-supervision. e-Supervision should not be a substitute. The creation of group research fellows would be handful in some phases of the thesis. e-Supervision could help in that. It is not good to be alone doing research. Some disciplines seem to be more indicated for e-supervision than others. Oskar Casquero: institutions should offer a toolbox to the students, but the students should be encouraged to look for their own tools, the tools that best fit their needs. ICTs are about being efficient managing information and knowledge: that it, they are not substitutes, but enhancers. In the core of ICTs and e-supervision there also is networking. Xavier Gabarell: e-library is surely a core tool in e-supervision. And, indeed, access to journals and literature in general is key for any kind of research, especially e-supervision. Ricardo Torres: what about open access journals? Will the way we publish impact the way we do research, as it will affect (or not) the way we access information? Xavier Gabarell: open journals is a general concept that actually frames many different practices: reviewed vs. non reviewed, indexed or not, pay to publish vs. paid by third parties, etc. So, it depends on the nature of the open journal what the impact will be. Ismael Peña-López: Can we shift from “hour allocation” to “goal-based assessment” of the supervisor? Miquel Solà: normally the professor has some lecturing hours allocated and the rest is computed in general. Thus, the lecturing load depends on all the other things the professor is doing. Everything has to be counted in any way, all working hours. Xavier Gabarell: at UAB what is counted is percentages of dedication. And supervision is counted with credits, which can be compared with lecturing credits or hours. But it’s difficult to count hours, dedication, etc. Another issue is that supervision is both teaching and research/innovation, thus it makes it even more difficult to make very separate packets. Sioux McKenna: though some organization and planning is required, management should not enter too much in the work of the professor: just check if academics are performing — not if they do more or less hours. Ismael Peña-López: What about skills? Oskar Casqueiro: the supervisor should provide a list of tools and a sample of “best practices” on how to use these tools. Training in research methodologies should also improve how to develop these methodologies with the help of ICTs. Sioux McKenna: training is important, but enabling P2P exchange of ideas or practices is even better.